Dry: 800 lbs, Wet: 3,670 lbs. 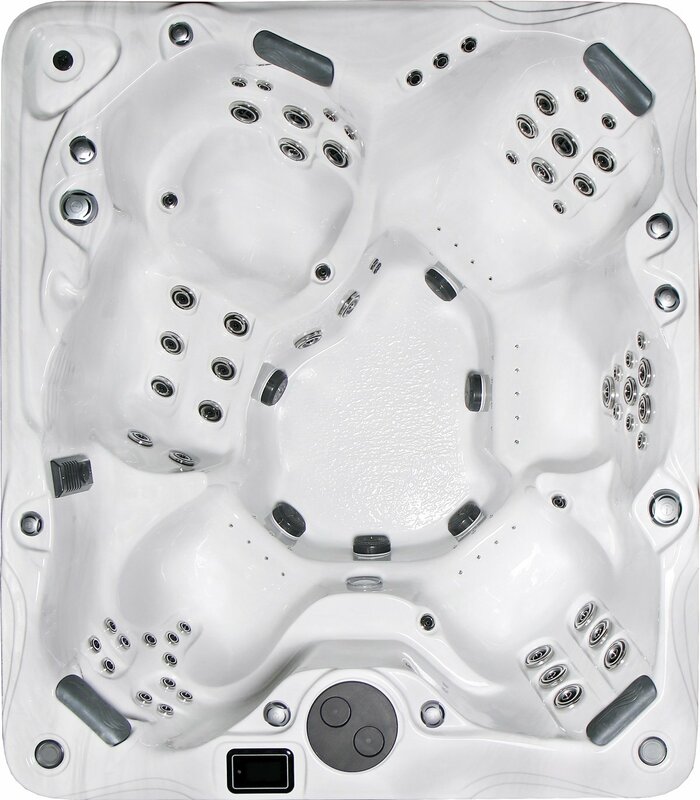 Customers who choose the Biscayne luxury hot tub have exquisite taste. Every inch of the Biscayne has been tailored to unite the health benefits of hydrotherapy with the unparalleled serenity that can only come from a PDC Spas luxury hot tub. With a wide rectangle design that measures 90" x 79", the Biscayne generously seats up to five (5) adults. A captain's chair section accounts for one of four contoured chairs with armrests further enhancing your ability to discover total comfort. Providing the hydrotherapeutic escape are 96 jets, including 66 hydrotherapy jets and 30 Air'assage™ jets that work wonders on sore muscles and overworked minds. 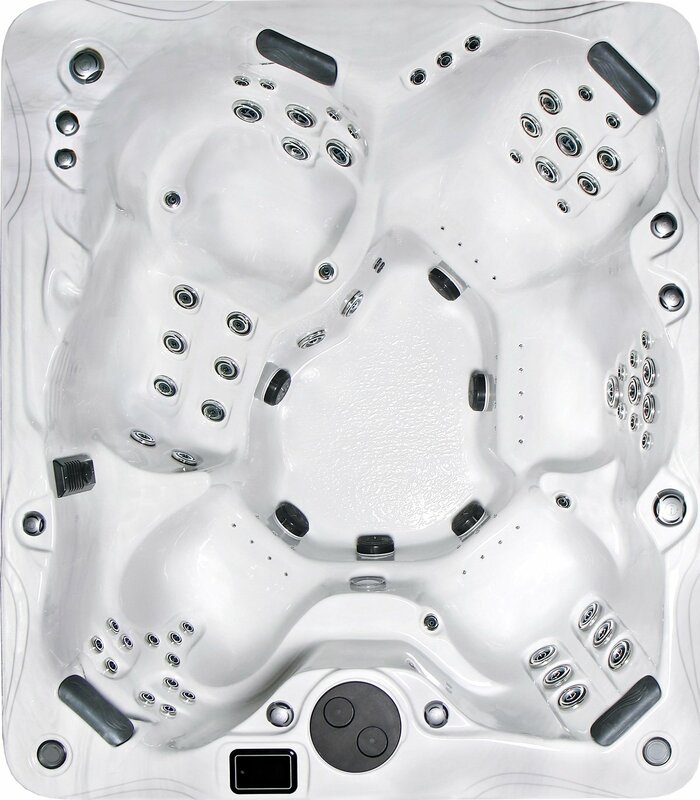 Whether enjoying a deep muscle hydro massage on your own or unwinding with family or friends the Biscayne unites state-of-the-art hot tub innovations with award-winning design built exclusively around your needs.